Netaji Decassify logo, I made now for my FB profile from 20th Jan to 26th Jan . Last year I saw some FBians changing to Netaji image as profile image to show respect to netaji and patriots' cause. 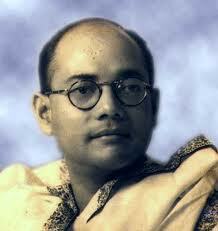 This time this can be done on a wide scale as another way of showing love to country by loving Netaji.